So you have an app idea – now what? So you have an awesome idea for an app. There’s just a burning hole in your front screen every time you unlock your phone. Your idea is keeping you awake and with many sleepless nights, you just know this is it! Your app is revolutionary and will change the world, and really, you are just sooo ready to make a gazillion million dollars. So now what? As a marketing/sales coordinator at Shockoe, I receive a lot of phone calls stating just that. I’m not kidding. 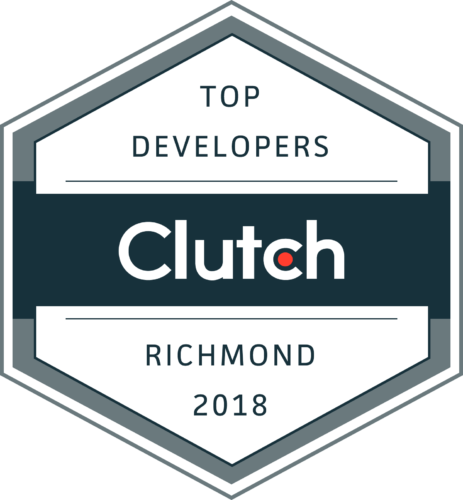 Some obscure, some genius and some just plain mind-blowing As a one of the fastest growing companies in Virginia our deep passion lies in making beautiful and useful apps with great technology – nothing gets us more excited than a chance to help you bring your idea to life. So I’m here today writing a little guide, if you will, to help you navigate in this craze driven mobile world and give you a couple of pointers to consider before diving head deep into the commitment of making your app. So here goes nothing. First – I’d like to bring it to your attention that making an app is a full on business. That’s right, one that requires planning, skills for development, design, support of the product, marketing, money and the list goes on. So you might say, of course, that’s pretty obvious. I’m willing and ready to put this much into my app idea because I know it’s going to do well. Well here’s what to consider next. Is your app going to promote an existing business or is it a completely separate entity you would like to make money from? If it’s an existing business app idea serving as a compliment to your service, do your research. Search through app store or google play – see which ones failed and which ones worked before and play around with existing apps. And now, the juicy part – the price. Do you price it “free” or do you charge users for downloads? How much of a budget did you set aside towards the actual creation of your app? Is it going to be an Iphone app, Android or both? Do you want us to make your app completely from scratch or do you want to put in the time to write a basic code and have us help you make it pretty and functional? Now, what about getting your app out there? Are you going to promote it and market it out yourself? What is your time line in completing the app and how fast do you want it to hit the market? And once it’s out, how will your app updates and bug fixes along with any other tweaks will be handled? As you can see, the list goes on and on. At Shockoe, we are proud to say that we can help you with the entire process. From creating a strategy and defining how this app will help your business and what you can do to take advantage of your mobile strategy. To then of course, carrying out this idea and knocking out the user experience and design portion of it to make sure your baby is effective, productive and adds value. Then doing the development and integration portion of it (and trust me I’ve seen our developers typing away their codes – it really does looks like an intimidating different language to a non-techie like myself). To then, the customer success management portion which is critical to your mobile app’s success! We want to make sure your mobile solution never loses value to your users and we ensure you receive the best application support, maintenance & monitoring services you deserve. Anyways, the team is pretty awesome and as stated before: we will get it done because mobile apps are our number one passion. So to do it right, making an app is a full business but we are certainly here to help you every step of the way! So what are you waiting for? Go ahead and contact us now and let’s get your awesome app idea out into the world!